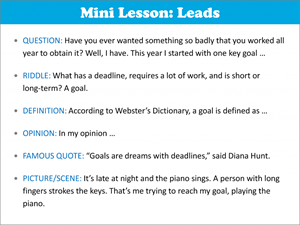 WriteReflections is a systematic, research-based writing curriculum that contains everything you need to successfully teach writing at the elementary, middle school, and high school levels, including a scope & sequence, step-by-step lesson plans, classroom PowerPoints, lessons, assessments, and rubrics. 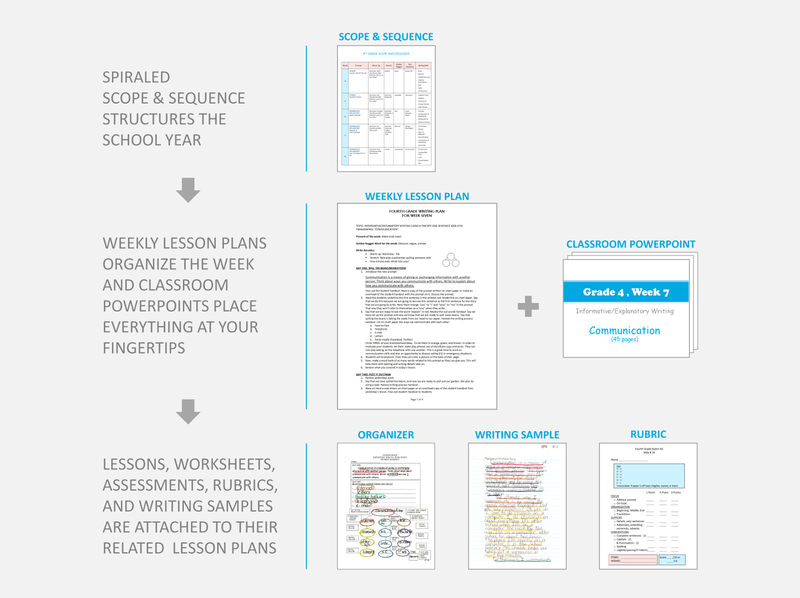 The program is easy to use and fits perfectly into your teaching week – all you need is 30-45 minutes per day. 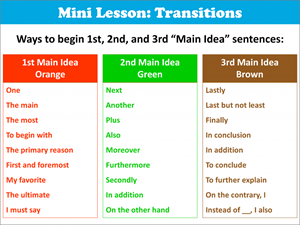 Our daily warmup exercises and mini-lessons teach brainstorming, organizing, vocabulary, grammar, punctuation, sentence fluency, reading comprehension, and text response skills, thus reinforcing your English language instruction. 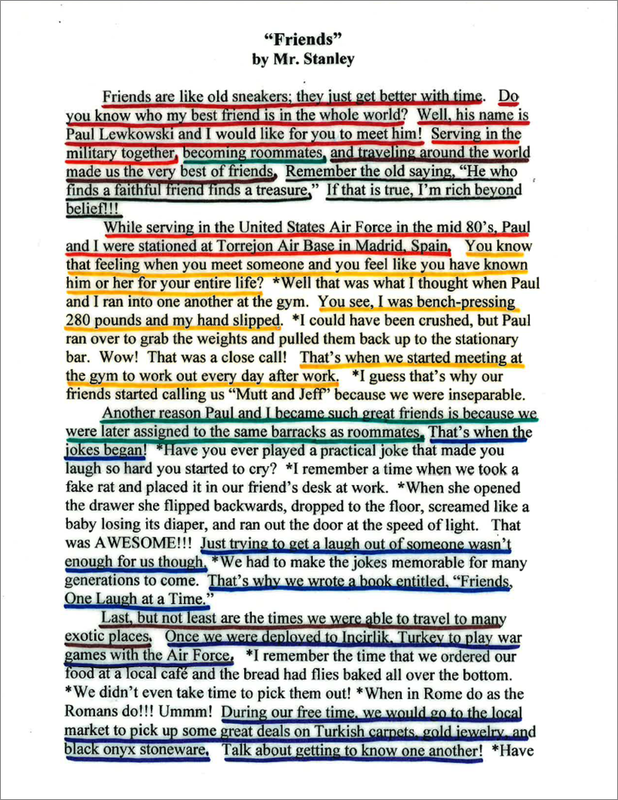 You will be amazed at how well your students write when you implement this curriculum! 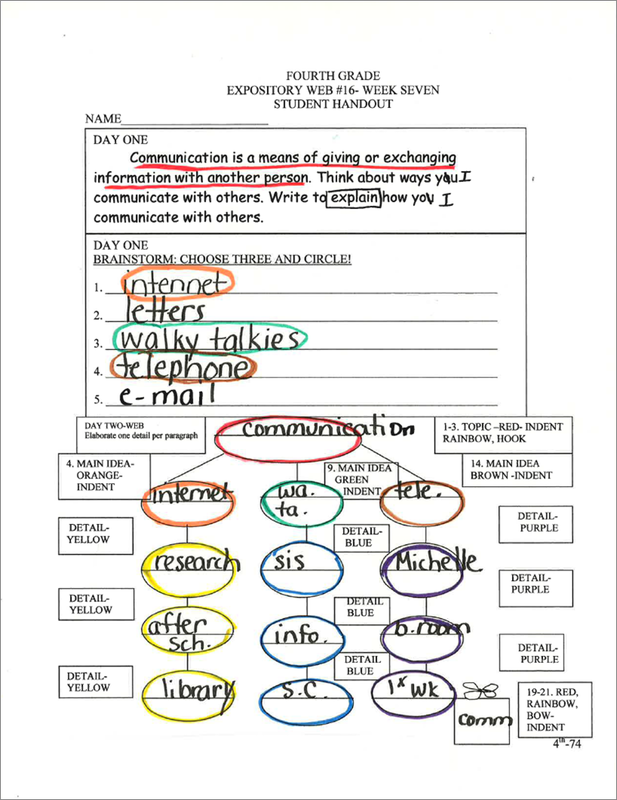 TOM DEIGHAN, PRESIDENT, EDUCATIONAL UNDERWRITERS, INC.
WriteReflections uses a series of color-coded graphic organizers of graduating difficulty to help students structure information. 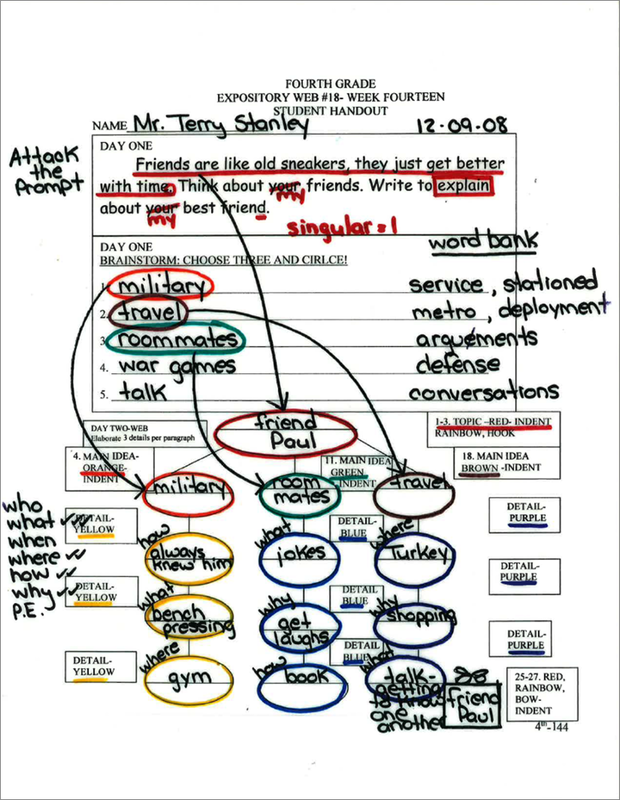 These “webs” help young writers track their ideas and visualize how they relate to each other. The color coding on the webs matches the colors of the rainbow. Each web begins at the top with a red topic circle and then branches out downward to an orange main idea that is followed by yellow supporting details. Next is a green idea circle that branches out to blue circles, and so on. 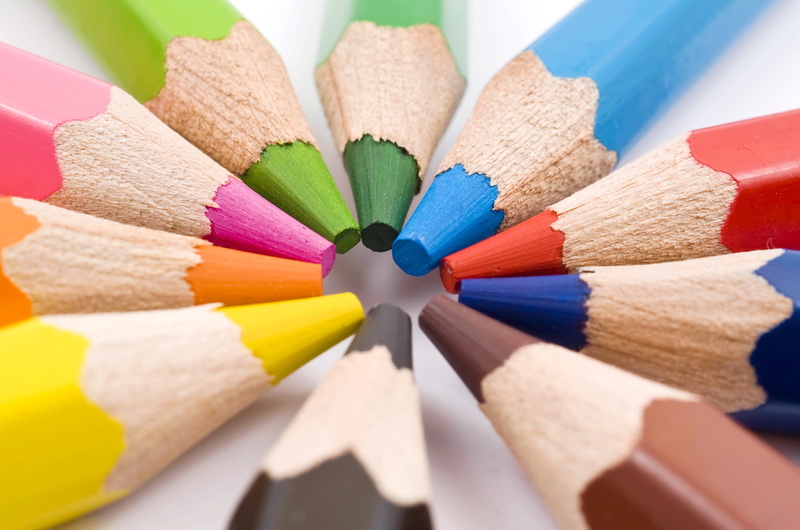 This intensive and consistent color-coding throughout the grades maximizes the use of visual and tactual/kinesthetic perceptual strengths of children. It aligns your school to a common system, and most importantly, it builds an enjoyment for writing and a feeling of success! 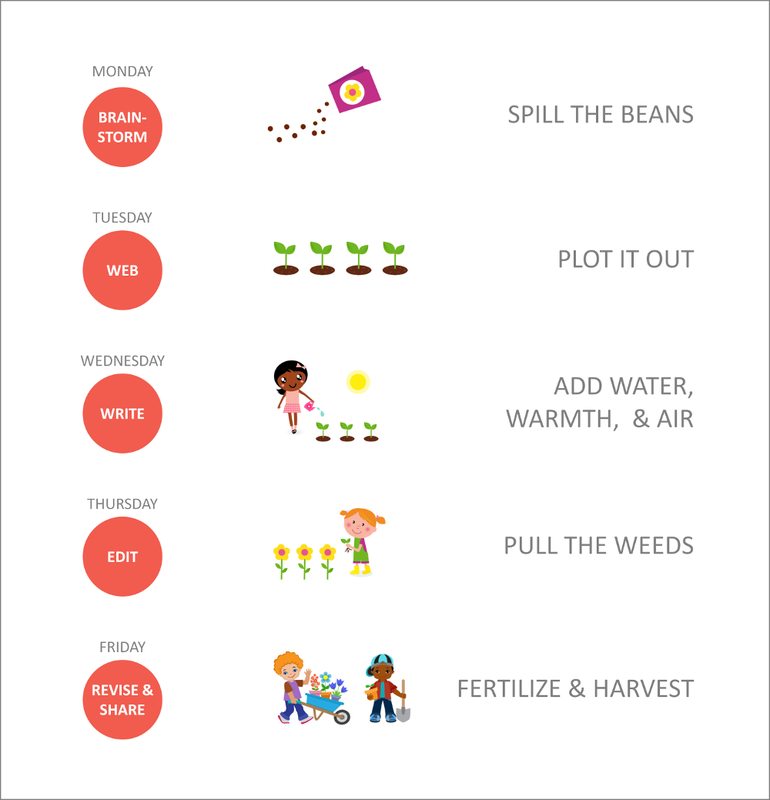 On Monday, children “spill the beans” – in other words, they begin working with a new prompt or story idea. 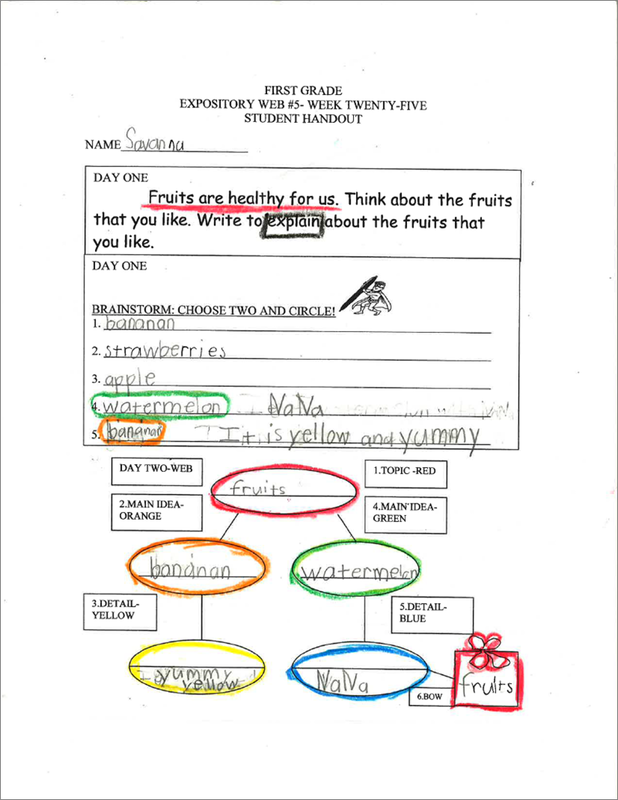 On Tuesday, they “plot out their garden” using a writing organizer. On Wednesday, they “add water, warmth and air” by doing the actual writing. Thursday adds the dimension of “pulling weeds” or the editing process. 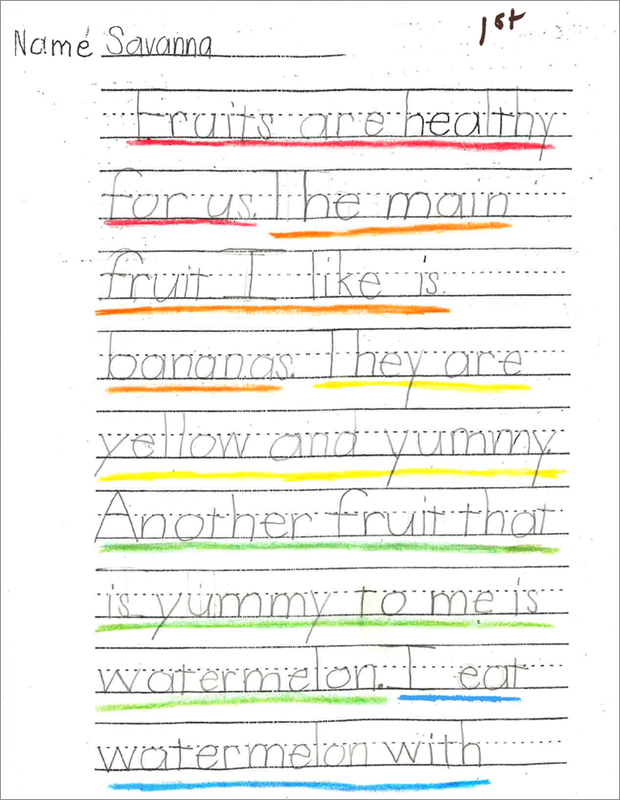 Finally, on Friday, students “fertilize and share their harvest”, which is revising and sharing their completed writing. This completes one week’s activities. The next week will begin the process again with a different prompt, and perhaps a different style of writing. A truly engaging and enjoyable journey! 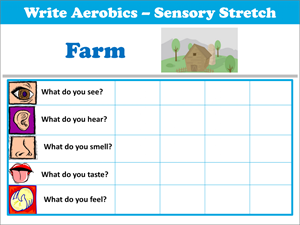 WriteReflections introduces daily warmup exercises (“Write Aerobics”) and Mini-Lessons throughout the week to engage emerging writers and help them perfect their writing skills. 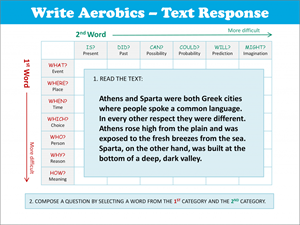 Our Write Aerobics develop skills in creative thinking, organization, metacognition, reading comprehension, and text response. 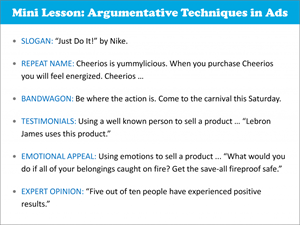 These exercises propel writers forward and provide strategies to break “writer’s block”. Students love them! 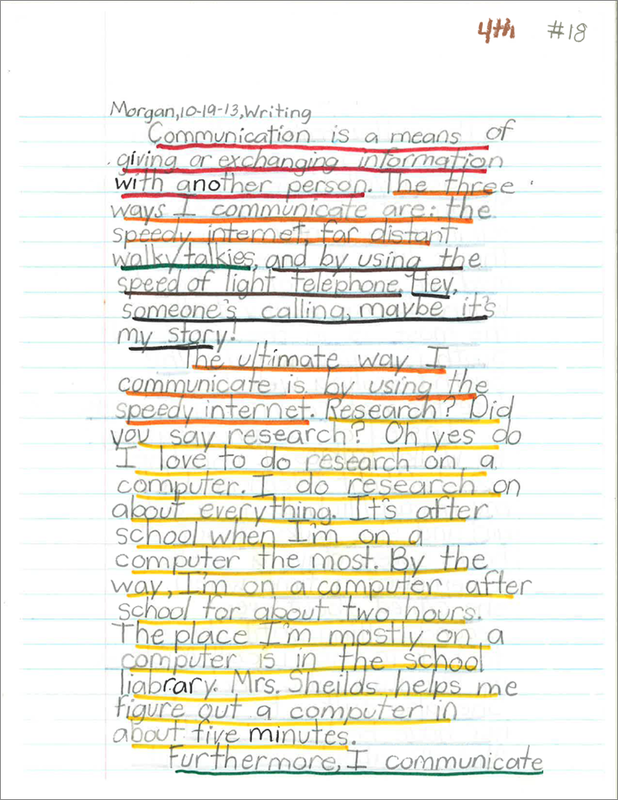 Our Mini-Lessons help young writers develop the six traits of exceptional writing: ideas, organization, voice, word choice, sentence fluency, and grammar conventions. Develop exceptional writers and open their window to the world!